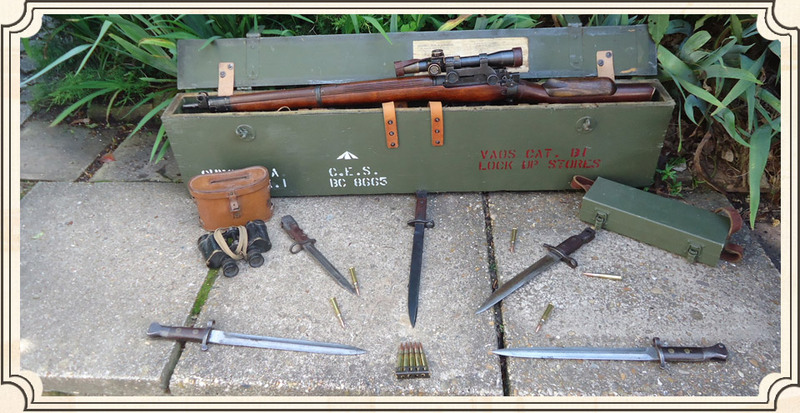 From a passion for the Lee Enfield rifle we have expanded into selling quality military rifles, sporting guns and accessories. Rest assured we are a Registered Firearms Dealer and our number is Suffolk, 37/RFD/245. LEE ENFIELD - a very short history. The SMLE or Lee Enfield No.1 MkIII Short Magazine Lee Enfield rifle is indeed famous for it's service from before WW1 up to WW2. Commonly known as the "Smellie" it is the most prominent of the Enfield rifles. Starting from 1888 with the Lee Metford the Lee Enfield has been used by British and Commwealth soldiers for over 100 years. We can convert your number 4 to a 4T with productions parts and fit new barrels if required. Repair work on most Enfield rifles undertaken. We can also re- barrel your SMLE with a new or second-hand barrel, submit to the stock condition.